We know that T-Mobile is planning a press event tomorrow, and so far the information that we have has led us to believe that the event will focus on Phase 2 of T-Mobile's UNcarrier marketing plan, as well as the likely announcements of the Nokia Lumia 925 and Sony Xperia Z. But, new leaks are making it look like the carrier may have more announcements on the way. TMoNews has gotten its hands on a leaked survey that T-Mobile has been conducting that looks like it is planning to create a sort of "Upgrade Club" which will let users pay a monthly fee to be able to trade-in their phone for a new one on a faster time-table. T-Mobile has been running ads recently taking shots at AT&T's long upgrade terms (although the 24-month commitment is standard for other carriers), and T-Mobile CEO John Legere had talked about the possibility of a plan like this back in March. 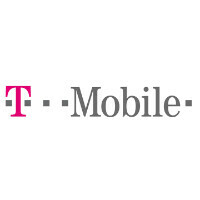 At the time, Legere had said that the details were being worked out, but that the general idea would be a plan where users could pay a monthly fee and upgrade to a new device as much as twice a year, although other comments from T-Mo execs have said you might be able to upgrade as much as you want. The rumor is that tomorrow's announcement will also include a major announcement of LTE rollouts, because T-Mobile has been falling a bit behind in that regards. We'll bring you the news tomorrow, so stay tuned! Really? What phone do you use and do you live around Naperville or something? NW of Chicago. Cell tower is a mile away. I used a GS4 and iPhone 5 and speeds were consistent all across the board. LTE speeds put AT&T to shame with 2x the download speeds and 6x the upload speeds. But then again, the network is less congested. I'll see if I can snag a screenshot next time I run the tests. well your lucky over here in los angeles tmobile lte and hspa + dont get those speeds i kno cuz i had tmobile and know people who still have tmobile over here in LA if u want speed at&t and verizon are your only options ,but att is faster than verizon here ,funny thing for a network that is supposedly congested cough cough At&t gets up to 30 mbps dwn and 15 up, while verizon gets 20 dwn and 6 up. And tmobile lte gets bout 15 dwn ,5 up . It really depends on where you're at in LA. I've gotten 23.84 down and 12.57 up in Hollywood area around Santa Monica Blvd and Highland Ave and Different speeds in Burbank. I'm using a TMo Galaxy Note 2. Not everyone charges their phone every night. That's about where the battery on my Note 2 would be after charging it the night before. I generally get about 28-36 hours of moderate usage. Let's not forgot that Verizon had experience major blackouts of the LTE service at times while they were rolling it out to everyone. I will say this. I've had LTE working in my Detroit Metro area suburbs for the entire month of June, today it seems stronger 3-4 bars today than it's ever been(1-2 bars) and in even more places than usual. I'd truly be surprised if broad LTE launches weren't announced tomorrow. Even w/ only 1 bar of LTE I'm getting 30+Mbps, compare that to full bars of Sprint LTE(where available) at 8Mbps w/ full bars. Impressive. T-Mobile may not be awesome in rural but where it's awesome... it's REALLY Awesome. I would definitely pay $10 a month to be able to upgrade even just once a year without any extra fees. If you buy a new phone every year anyway, you'd definitely be saving money. Maybe they should worry about updating and spreading coverage, before full deployment of LTE. I'd pay extra per month instead of the EIP especially with trade-ins. Sort of like leasing instead of owning, I guess. Two upgrades a year for less than the cost if the EIP would be awesome. LTE coverage is spotty in the Big Apple.